Bren Did is a personal blog written, photographed, and edited by Bren Fey. The views and opinions expressed on this blog are purely my own. As a full time blogger I earn my income through advertising, affiliate marketing, and ocassional sponsored posts. The compensation I receive does not determine the content and topics of my posts, but it may influence the timing and subject of posts. All advertising is in the form of advertisements generated by a third party ad network. All paid content and advertising will be identified via the guidelines set forth in FTC disclosure rules. Bren Did is a participant in the Amazon Services LLC Associates Program, an affiliate advertising program designed to provide a means for sites to earn advertising fees by advertising and linking to Amazon.com, and other affiliate advertising programs. This means that if there is a product or a deal that I use and love, I will share it with you, if you purchase through my link, I will receive a small commission fee at no additional cost to you. This allows me to earn an income and continue to publish Bren Did. I do not promote products and service I have not used or do not believe in. My readers are my foremost concern and I know that they rely on my true opinions and honest recommendations. Please do your own research before making any purchases. Any product claim, statistic, quote or other representation about a product or service found on BrenDid.com should be verified with the manufacturer, provider or party in question. What we collect – Bren Did may collect the following information to understand your needs and provide better service: contact information including email address, demographic information such as postal code, preferences and interests, other information relevant to customer surveys and/or offers. To improve our products and services and/or customise the website according to user interests. To send email newsletter or other information you may find interesting using the email address you have provided. Bren Did is committed to ensuring that your information is secure. In order to prevent unauthorized access or disclosure, we have put in place suitable physical, electronic and managerial procedures to safeguard and secure the information we collect online. Cookies help us provide you with a better website, by enabling us to identify which pages you find useful and which you do not. A cookie in no way gives us access to your computer or any information about you, other than the data you choose to share with us. You can choose to accept or decline cookies. Most web browsers automatically accept cookies, but you can usually modify your browser setting to decline cookies if you prefer. This may prevent you from taking full advantage of the website or accessing the free printables page. If you have previously agreed to us using your personal information for direct marketing purposes, you may change your mind by contacting us at bren @ brendid.com . Ebooks and digital download products purchased from Bren Did are not returnable after purchase. We do not issue refunds once the order is completed and the product download link is sent. As a customer you are responsible for understanding this upon purchasing any item at our site. If unexpected errors occur in a digital product please contact us at hello @ Brendid.com for replacement. We reserve the right to rectify the error or defect within 72 hours. All digital products and eBooks are the property of Bren Did, LLC. Claiming any type of intellectual or ownership rights of our products is strictly prohibited. All products are for personal use only and may not be copied or redistributed. You may not print and sell any of our digital products. I enjoy linking with other blogs and sites to feature their work and have my content featured. However, once you use these links to leave BrenDid.com, we cannot be responsible for the protection and privacy of any information you provide while visiting these other sites. Photos – You may use one (1) photo from my post on your site if the photo is appropriately credited to Bren Did and links directly back to the Bren Did post you are featuring. The photo should not be able to be pinned or shared with your site as the original source. Recipes and Text – You may NOT use my original, unedited text other than the post title or recipe title. 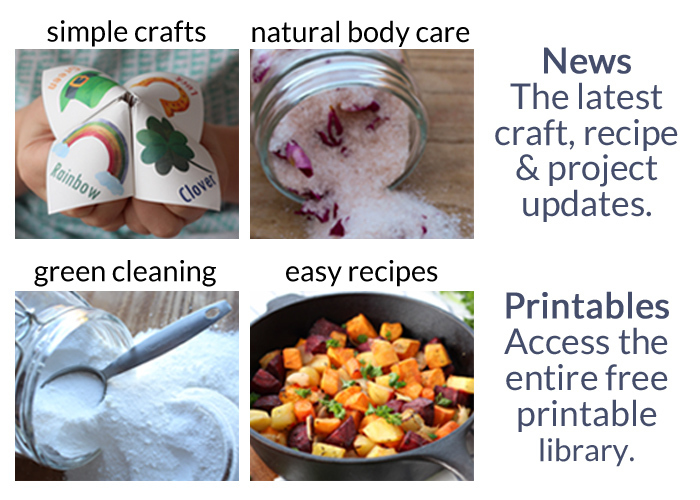 Free Printables – All materials on Bren Did are copyright protected by the laws of the United States (Title 17, U.S. Code). You may not share any of my free printable files or link to the files on your blog, website, or by email. You may only link to the post featuring the free printable. How Bren Did Links to Blogs – I occasionally link to blogs that I find especially interesting and informative. These are simple links. If you do not wish to be included in a post with a link to your site, please email me at bren @ brendid.com and I will remove the link. It is my intention to highlight your quality, informative work and not to infringe on any copyright protections. Please email me for further information or clarification about these policies at bren @ brendid.com.